I got to listen to a podcast last week from an education author I admire – Paul Tough (who’s the author of How Children Succeed and more recently, Helping Children Succeed). There are a lot of lessons from his work in the US education system and what is happening in our colleges to try and make sure that students from all backgrounds have equal opportunity in this country (this article has a good summary). But what struck me is how many of the lessons translate into every day interactions and how we treat our peers, our colleagues, and even our strangers. The first, is that framing matters. Treating students, even struggling ones, as scholars is important. It changes how they think of themselves. It changes their perception of what is possible. And it’s the difference between overcoming obstacles, and giving up. It’s not something I’ve emphasized before – we always talk about all of our students deserving access to a quality education. But it’s equally true that our students – our scholars – have immense potential in Zambia, if they have the opportunity to reach it. The second, is that messaging matters. We send and receive messages every single day – be it by email, phone, or in person (and yes, those count as messages!). Those messages can make a difference. It’s often the difference between a student who feels like they belong to a community of peers, and one who feels like they will never fit in. It’s the difference between having symptoms of depression, and not. And it can be the difference between a student staying in college just a little bit longer, and dropping out. In every interaction we have, we have an opportunity to make our messages both stick, and be positive. And last, students need support. In the case of a 4-year college that has resources available, this translates to smaller classes, advising, and additional instruction. 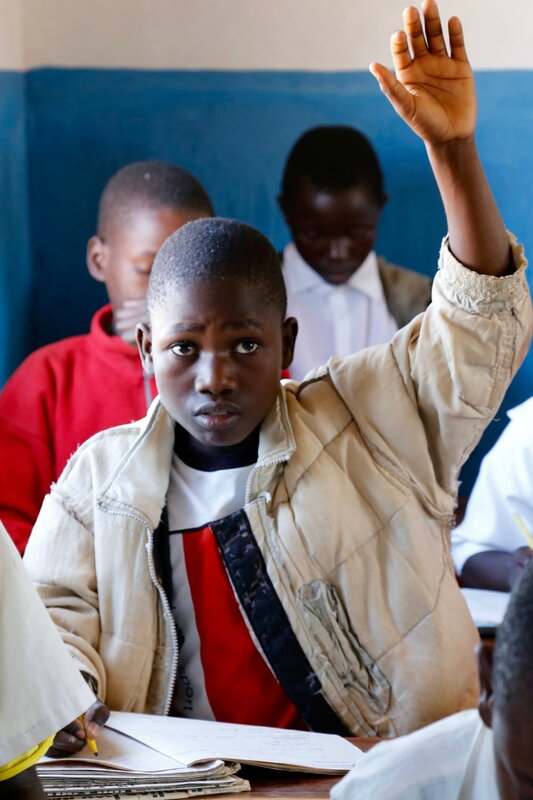 In the case of our 2,500+ students in rural Zambia – it means some of those same things! We have smaller class sizes compared to government schools. We may not have a formal advising system, but we have Teacher Supervisors who coach our teachers closely to improve, and a management staff that knows our students and populations well. Our teachers use classrooms outside of regularly scheduled times to provide additional instruction in the form of tutoring.